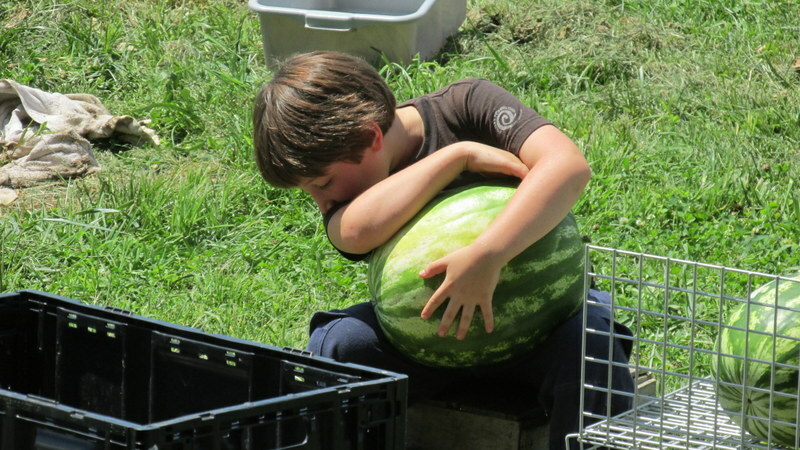 Nothing says summertime more than watermelon. 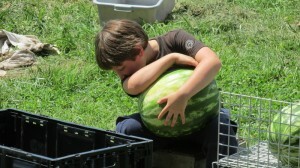 Our kids are in charge of growing watermelons on our farm. They get more involved in the production of the melons each year. 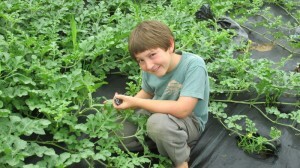 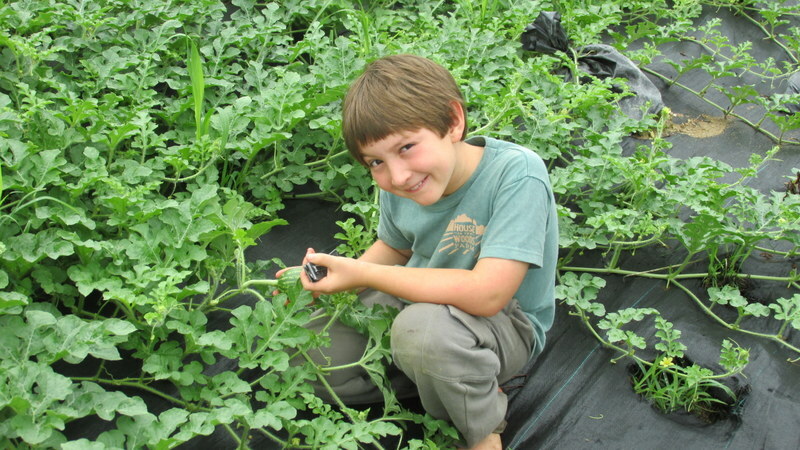 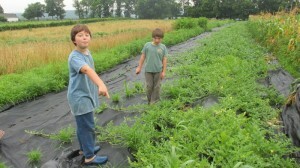 This year, one or both of the kids were involved in each step of the way, from seeding to selling. 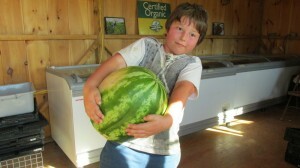 CSA members are enjoying the chance to buy their delicious watermelons! 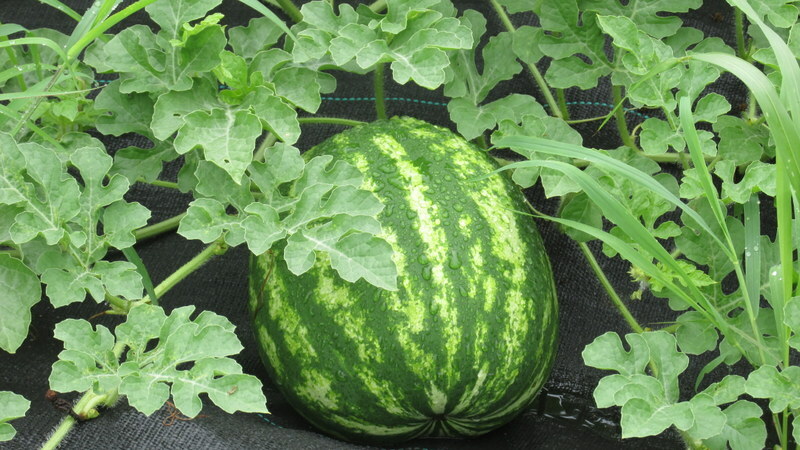 They almost sold out today, and all the melons were very big. We brought home a 24 pounder! They will harvest and sell melons for the next couple weeks. 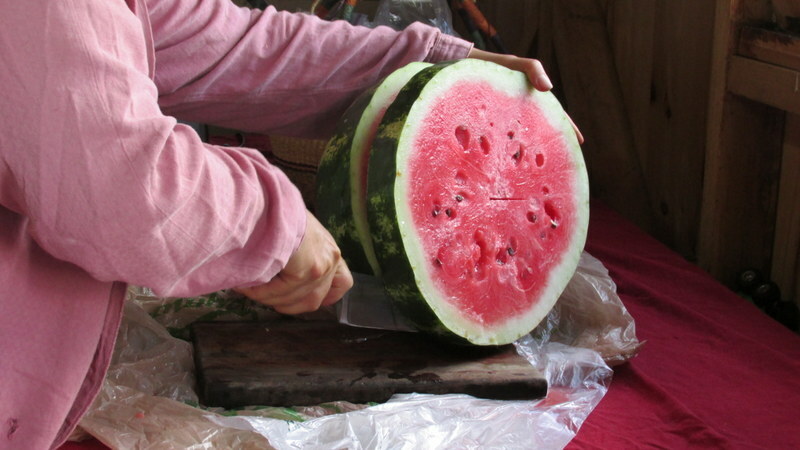 Welcome August in with watermelon!